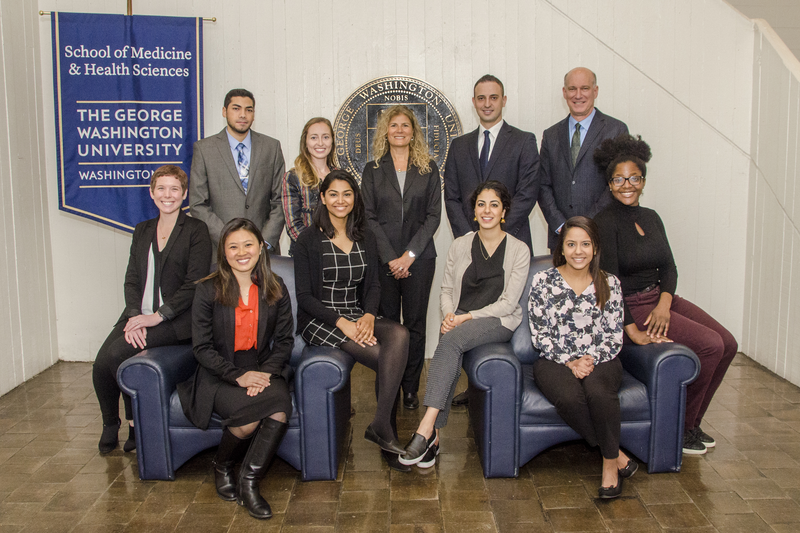 In an effort to give students at the George Washington University (GW) School of Medicine and Health Sciences (SMHS) the ability to enrich their medical education overseas without adding to the debt they accrue during their years in school, the GW International Medicine Programs (IMP) provides myriad scholarship opportunities for students, with its offerings set to grow in the coming years. For the 2016–17 academic year, 42 students received more than $70,000 in funding through stipends, or scholarships, facilitated by IMP. That’s an increase of 35 percent from the funds provided in 2015–16, according to Huda Ayas, EdD ’06, MBA ’98, MHSA ’93, associate dean for international medicine and executive director of IMP. To provide more flexibility for students applying for scholarships, IMP is moving to a rolling admissions model. In addition, with the integration of the revised MD curriculum, students now have greater ability to go abroad. IMP also is working with other stakeholders at SMHS on the development of scholarships to support longitudinal programs, such as the Health Equity Scholars Program and the pilot GW Global Physician-Scientists Pathway, said Ayas. Just this year, IMP renamed its “International Clinical Elective Program” scholarship to the “IMP Scholarship,” which will open up the funding to a broader range of students and residents from across SMHS, including those enrolled in Health Sciences programs. The scholarship provides students with a $2,500 stipend that can be used for approved international clinical electives, research, medical missions, or other activities. Other opportunities facilitated by IMP to support students include funding for Operation Smile missions, which offer surgical and medical treatment to children and adults with facial deformities, and the Max Kade scholarship through the American Austrian Foundation, which allows students to participate in clinical electives at the Medical University Hospital of Vienna in Austria. In addition, SMHS supports annual medical missions in Haiti through Project Medishare. These opportunities allow students to further their medical education abroad and realize their impact as medical professionals on an international scale. To increase the number of SMHS medical students able to participate in international activities, IMP launched the Leonard C. Akman, MD’43, Global Medicine Scholarship in November 2016. This scholarship, which was endowed by the Akman family in 2013, is open to third-and fourth-year medical students looking to enhance and diversify their medical education experience and broaden their public health knowledge by spending a month studying medicine in a different country. Leonard Akman, who passed away in 2011, was a pioneer in heart transplantation, cardiac catheterization, and cineradiography, and worked diligently to bring new modalities to the bedside. Former student Roma Rajput, MD ’17, a recipient of the Leonard C. Akman, MD ’43, Global Medicine Scholarship, took full advantage of the chance to work and learn in Córdoba, Argentina. Within the walls of a children’s hospital, she learned about the operations of its various departments, improved her triaging skills, and provided high-quality care with limited resources. Rajput’s story a common refrain among the dozens of students who received international medical experience thanks to the opportunities offered by IMP. With the support of donations from members of the GW alumni community, IMP is able to offer students the chance to learn more about how health care looks around the world. If you would like to support such efforts, please consider donating to IMP online, via mail, or by phone. For more information on how to donate, go to smhs.gwu.edu/imp/support.